Buying a new vehicle can be fun. You get a thrill from breathing in the new car smell and checking out the modern technology. However, don't let all the excitement tempt you into making an impulsive purchase. Here at McKinney Mazda, we want to make sure that you find the perfect ride. Check out our list of the do's and don'ts for buying a new car. It's easy to feel overwhelmed by the number of options available. Start by narrowing your search to a particular kind of vehicle: convertible, minivan, sedan, coupe, compact car, etc. After choosing a type of vehicle, create a list of what's important to you. Research different models and makes with your desired amenities and features. Settling on a price range can be your biggest challenge. Finding a vehicle that has everything you need and is within your budget can be difficult. Financing can help you obtain a great new vehicle, but make sure the debt you're taking on is manageable. It's best to put about 20 percent down, limit the term to no more than 60 months and keep your monthly payment below 10 percent of your income. 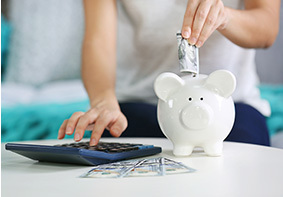 You should also consider maintenance costs when setting your budget. Negative equity is a heavy burden. What you owe on your old loan may be consolidated into the new car's loan amount, leaving you with two cars' worth of debt rolled into one big loan. Luckily, you can avoid this situation by researching what your trade may be worth. During your test-drive, give yourself adequate time to see how the car handles at different speeds and on different types of roads. It's also important to make sure it has enough space for everything you need. Ask questions, try out the various features and look around the vehicle. 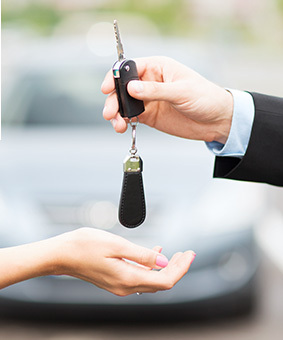 Interested in purchasing or leasing a new vehicle? Come visit us at McKinney Mazda at 4544 Calhoun Memorial Highway, Easley, SC 29640. As always, we look forward to serving our customers from Easley, SC, and throughout Greenville, Spartanburg and Anderson.